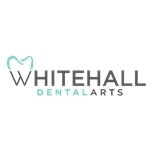 Whitehall Dental Arts (Garden City) - Book Appointment Online! Whitehall Dental Arts is dedicated to providing premier dental care in the heart of the Village of Garden City and midtown Manhattan. We specialize in cosmetic dentistry, children's dentistry and restorative oral health care as well as emergency dentistry. We view each person not only as a patient but as a friend. Dr. B shared the science of my treatment in layman’s terms and I felt like a student in a collegiate dental course.